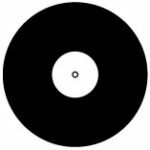 Update April 11, 2019: Current turnaround time for pressing records is 12 weeks from the day we receive your deposit. Notes on Colored Vinyl: Due to the vinyl manufacturing process, there will be slight variations in the vinyl color. Musicol recording can not be held responsible for colored vinyl variations. Notes on Colored “Changeover” Records: In any colored record job there will be a few randomly colored records as we change the color. These are called Changeover Records and will be included in your run. The colored records count in your order starts when the record is more of your chosen color than of the changeover color. If you have any questions or concerns on the colored vinyl manufacturing process, please contact us by calling 1.800.240.5963. WAV/AIFF files (we accept 16-bit or 24-bit WAV or AIFF files with a sampling rate of either 44.1kHz, 48kHz, 88.2kHz or 96kHz). WAV/AIFF files should be clearly labeled and saved on a data CD-R, DVD-R or a USB flash drive formatted to FAT32, exFAT or NTFS. There is a $30 charge for any format changes needed. There is no extra charge to cut your master from 1/4″ analog tape. However, your tape should have test tones, and be sequenced and ready to play. Any additional sequencing done in house will be billed as studio time at $50/hr. For more information on mastering for vinyl, read our Vinyl Mastering Guidelines (coming soon). PLEASE NOTE: We are not responsible for pressing and cutting defects on sides longer than the recommended times. Included in the cost of your Musicol vinyl pressing job is in-house mastering (lacquer cutting). We also do mastering for other pressing plants. We can do standard or custom lathe cuts for any vinyl production run. Mastering Prices are listed below. We offer dub-plate cutting services. We use the same all analog mastering setup to cut dub-plates (one off records). Pricing and suggested time per side are listed below. If you don’t see a record or jacket option listed, don’t hesitate to contact us by calling 1.800.240.5963.